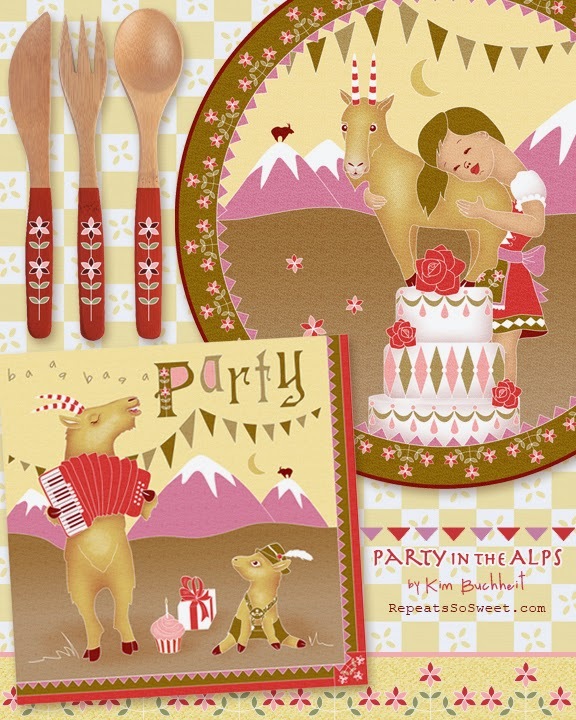 "Party in the Alps"— Illustration © Kim Buchheit; licensing and/or purchasing options available. Grab a slice of cake and your favorite dance partner and let's have a party :) This latest assignment was to create illustrations inspired by Bavarian or Ukranian-folk art. Mountain goats, lederhosen, Heidi, simple floral borders, and accordions came to mind. It was great fun designing these narrative pieces and playing with a non-traditional color palette.